The next generation Mahindra Thar has been caught testing again. This time, the spy images reveal the car's interior. 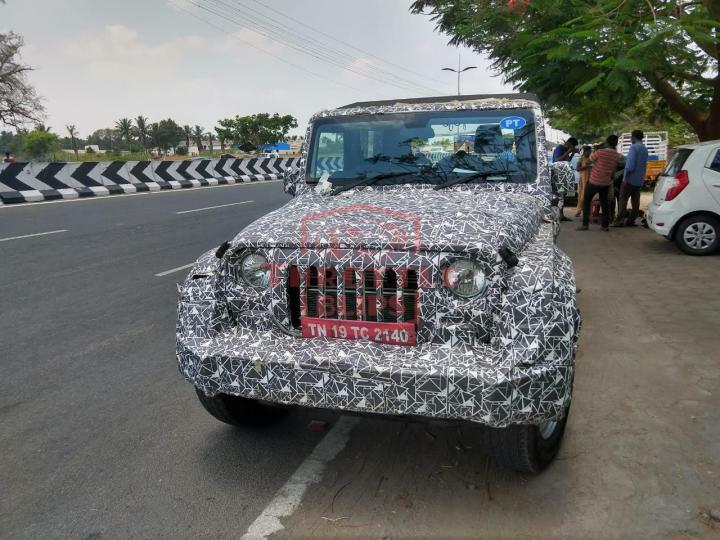 According to the spy images, the new Thar is likely to get updated interiors with a redesigned dashboard. The centre console appears to have provision to mount a touchscreen infotainment system and circular air-conditioning vents are positioned below it. A grab handle has been provided on the passenger side. 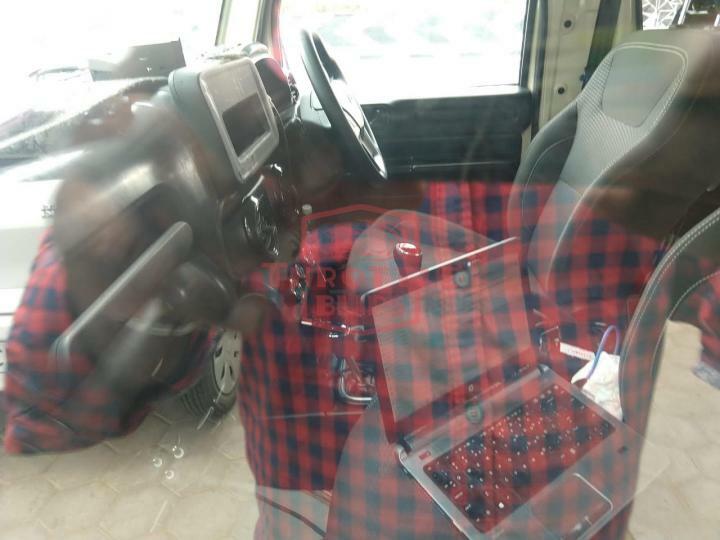 The test vehicle is equipped with contoured front seats with side bolstering. The new Thar is likely to get a 3-spoke multi-function steering wheel and a new twin-dial instrument cluster with an MID in the centre. Chrome trim can be seen on the gearshift knob. 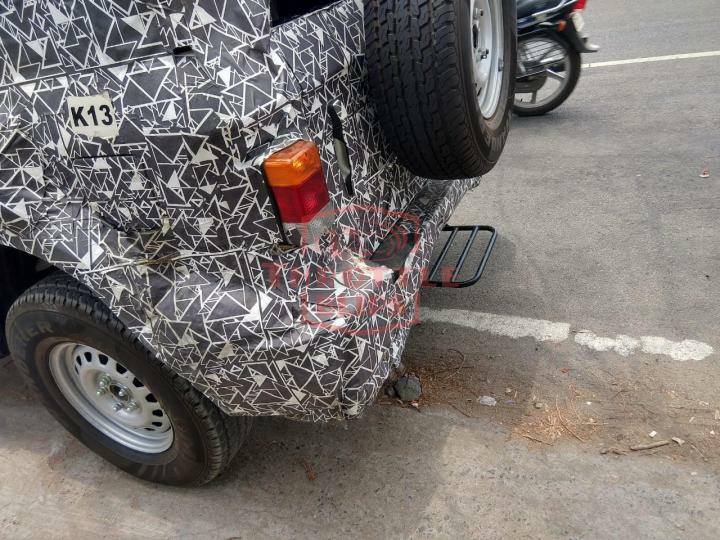 The next generation Thar is expected to based on the same chassis as the Scorpio and TUV300. It appears to be wider than the outgoing model. 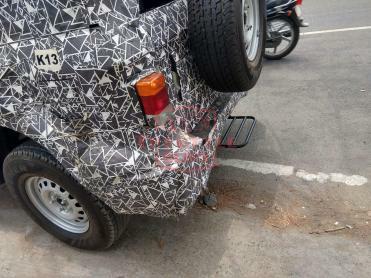 While it looks similar to the current Thar, it is likely to get redesigned bumpers and body panels. It could be offered with a BS-VI compliant 2.0-litre, 4-cylinder diesel engine.